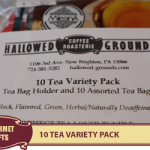 10 Tea Variety Gift Pack – A perfect combination of 10 different individually foil wrapped tea bags including black teas, green tea, and caffeine free herbal teas sure to satisfy the tea lover in your life – even if that tea lover is you! Priced at only $6 online or in store. 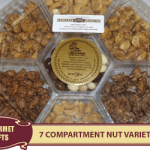 Assorted Nut Gift Sets - A delicious assortment of fresh roasted cinnamon glazed nuts available in a variety of gift packaging from festive gift cones large & small to 4 Compartment and 7 Compartment party mixes. Great for traveling, parties, grab bags, and stocking stuffers. Affordably priced from $5 to $30, so you can go nuts over everyone on your gift list! 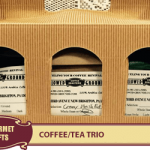 Coffee & Tea Boxed Gifts – Our most popular holiday gifts, made up of fresh roasted gourmet coffee or specialty loose leaf teas available in various sizes and handsome packaging for all of your gift giving needs. We have 4 packs, 6 packs, duos and trios ranging in price from $10 to $20. These sample packs are Santa approved! 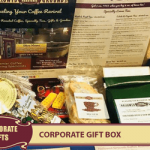 Corporate Gift Box - A selection of delectable treats including; heavenly roasted coffee, foil wrapped tea bags, biscotti, Bavarian nuts, and shortbread cookies in a great looking box. Sure, to please your business associates, employees, and clients. Shipped FREE for just $30! 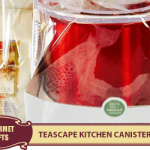 AirScape or TeaScape Gift Set – Make a lasting impression by giving the gift of freshness with your coffee or tea gift. 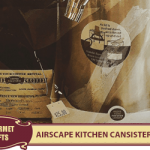 Our AirScape stainless steel canisters preserve the freshness of our heavenly roasted coffee & loose leaf teas while adding a touch of chic to any kitchen. Paired with a bag of our Signature Blend fresh roasted coffee or specialty tea, you will be giving the gift that keeps on giving! $20 - $30! 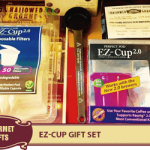 EZ-Cup Filter Boxed Set - Give your friends with a one cup brewer the freedom to choose any coffee. The perfect pod has a self tamping spring to extract a better cup. A pack of filters & a bag of coffee are included! This gift is attractively priced at just $30! Coffee/Grinder Gift Pack - Capresso Cool Grind Coffee/Spice grinder reduces heat build-up & preserves flavor & aroma without the noise. Pulse action grinds from coarse to fine. 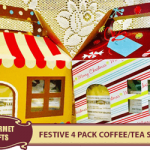 Gift includes a bag of our artisan coffee. Affordably priced at only $30! 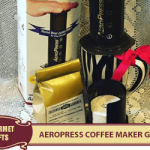 AeroPress Coffee Maker Gift Set – Rated best coffee maker by user reviews the Aero Press 3 Cup coffee brewer gift set comes with 350 filters and brews a perfect home espresso-style coffee. In fact it brews a better quality cup of coffee than home machines costing 20 or 30 x more! Attractively packaged and affordably priced at just $45 including a bag of our Signature Blend Coffee! 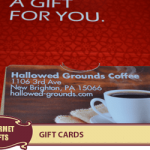 Hallowed Grounds Gift Cards - Always a good choice when you're not sure what to get for that special someone. Rechargeable and available in any denomination! Gift Baskets - We make beautiful custom gift baskets, but order early or you will miss out on the opportunity to bless your loved ones with a heavenly gift from Hallowed Grounds this holiday season! 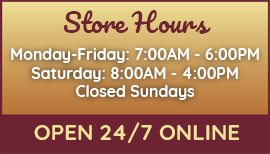 Happy shopping everyone – have a blessed holiday season!